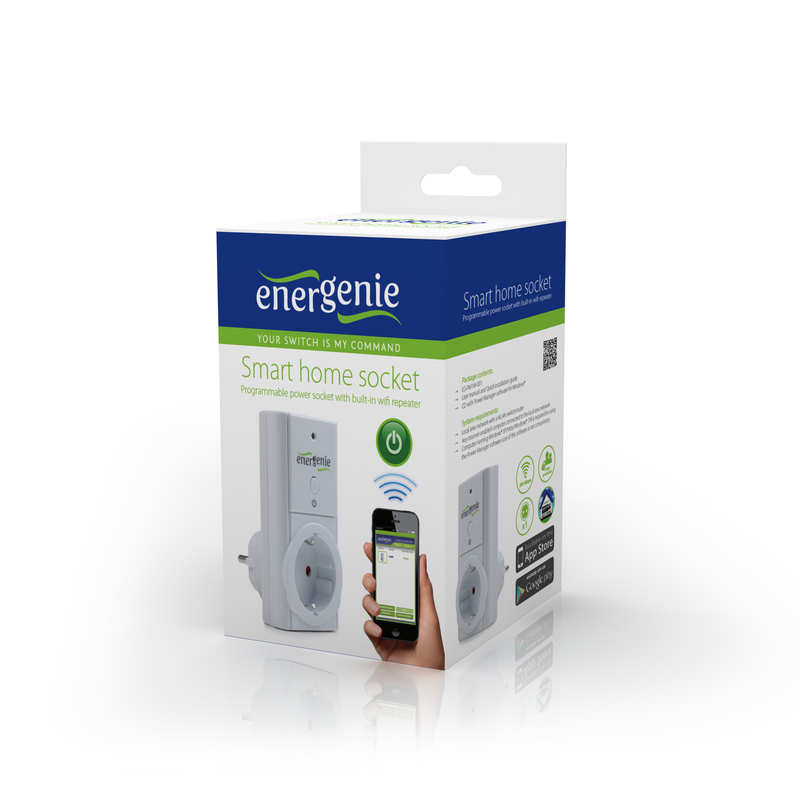 EG-PM1W-001 is an easy to use WiFi Smart Home socket with powerful power management options. It enables you to switch the socket on or off via your home WiFi, Internet, by timer schedule, or by programmable special software events (eg: switch on my scanner whenever I start Photoshop, or have my printer switched on only when I really print). With your free personal user account on EnerGenie.com you can manage your EG-PM1W-001 via Internet from all over the world. The practical and easy to use PowerMan app allows you to control the socket from your smartphone.